Hosting Thanksgiving at your house this year. 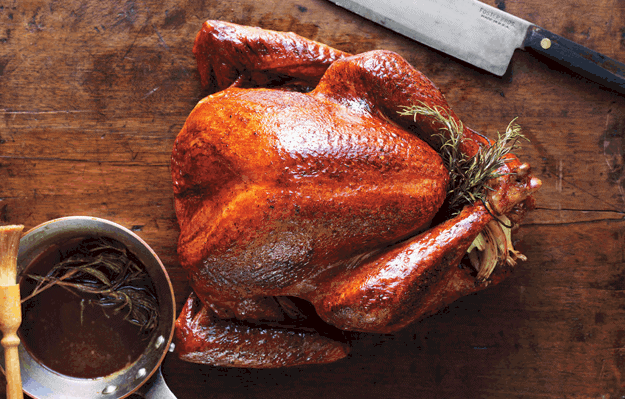 Here is the ultimate round up with 10 recipes for a classic Thanksgiving menu. I remember hosting Thanksgiving dinner at our house for the first time, EVER. (That’s what you get when you start a food blog—consider yourself warned should the idea be floating around in your think tank.) We were discussing the location of our festivities on a family text, when my sister conveniently mentioned, “How about your house, Abbey?” And I was all, “Yeah… YEAH!” Until I realized the only reason I want to host is so I can make an exceptionally outrageous dessert table. The most important: a good roaster pan. When I bought mine, it was a moment of terrifying epiphany in which I realized that I have no clue how to roast a turkey. Mild panic ensued, and then I proceeded to buy every known turkey-roasting device. Second most important: an accurate thermometer! TRUST ME. You want to spend the money for a good thermometer. I have thrown away over five crappy ones, and even had to delay Thanksgiving for four hours once, because the thermometer was WRONG. Hands down will forever and always use my ThermoWorks Thermapen Mk4. It gives you an accurate reading in three seconds. Plus they are fantastic company, and top chefs and scientists around the world use their products. Buy one here. You know the endcaps at Target where they display all of the cooking gadgets you want but don’t really need? I have them all now. There are no excuses for this dinner being scant and mediocre! 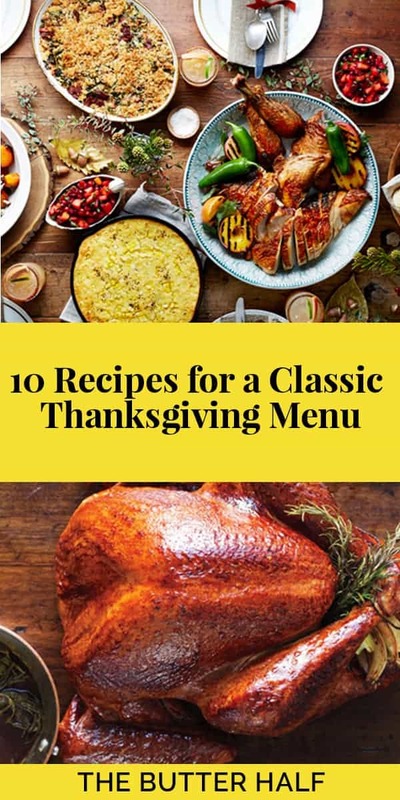 In case you are hosting dinner at your house this year too, and at a loss on which recipes to use, you’ve come to the right place! Roasted Turkey with Herb Butter and Roasted Shallots. 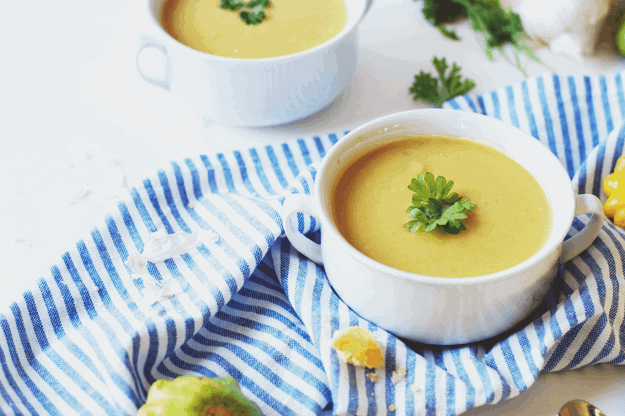 The recipe instructions alone will have you salivating. I cannot wait to taste the drippings! Also, I will be stuffing the turkey using the Pepperidge Farm Herb Seasoned Stuffing as suggested by my mother-in-law. Initially I planned on making it from scratch, but once I sat down with a pen and paper and wrote out my menu and timeframe, a screeching “HAIL NAH!” escaped my lips. Maybe next year? Also, listen to Martha’s instructions on how to stuff your turkey. She’s the queen for a reason, people. Sour Cream Mashed Potatoes. Mashed potato recipes can get complicated and fussy with too many extra ingredients, or they can be disappointingly bland. 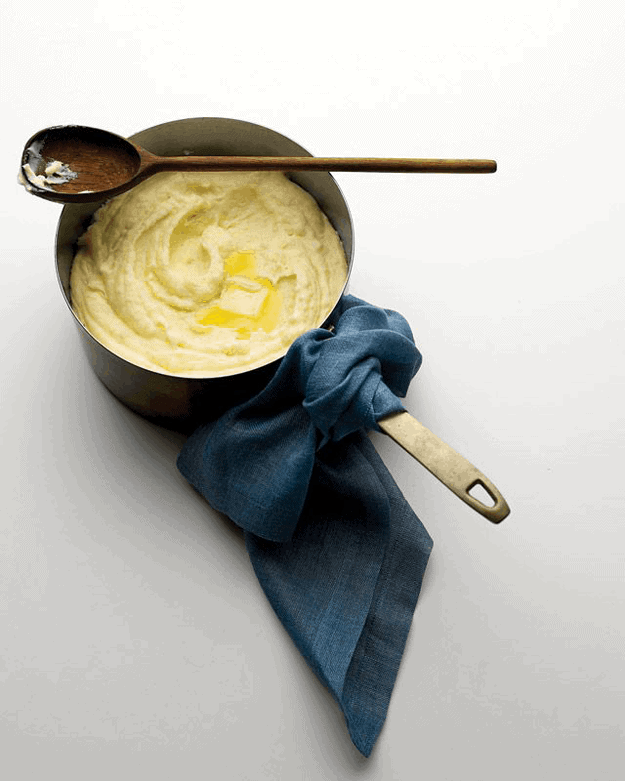 I’ve found this recipe from Ina Garten to be the victor of all mashed potatoes. They call her the Barefoot Contessa for a reason. You notice how I’m surrounding myself with recipes from cooking royalty? That can only mean one thing… it’s going to be a grand feast! 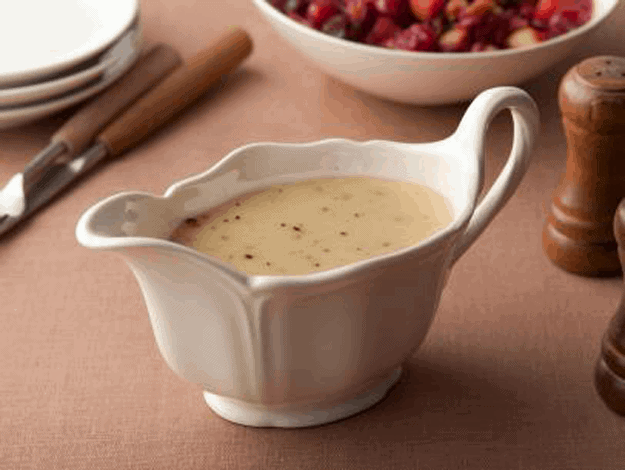 Ina Garten’s Homemade Gravy. You can’t make Her Ladyship’s mashed potatoes without her gravy! For some reason, homemade gravy intimidates some people. Perhaps it’s the concern about the lumps? Maybe it will be insipidly watery? Nope. Not this one! It’s fool proof! It’s all gravy, baby (said in Justin Bieber voice, or better yet, in Kate McKinnon’s impersonation voice). Baked Sweet Potatoes and Apples. 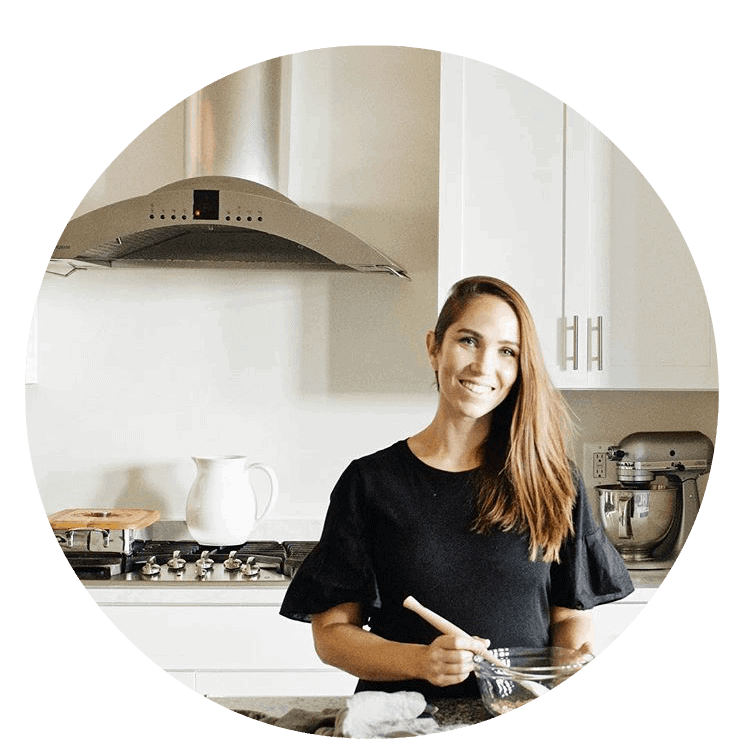 My friend, Erin, has a brilliant gluten-free food blog, Meaningful Eats. Everything I have made of hers is brimming with flavor and leaves you thinking, This has no gluten?! Impossible! 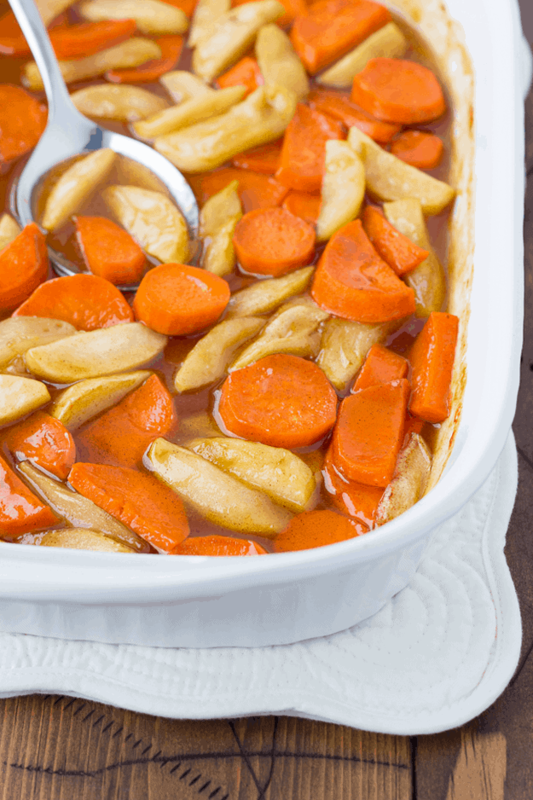 I personally love a good candied yam, and this one will be a wonderful healthy option. I think yam going to give it a coat of roasted pecans on top for some crunch, too! 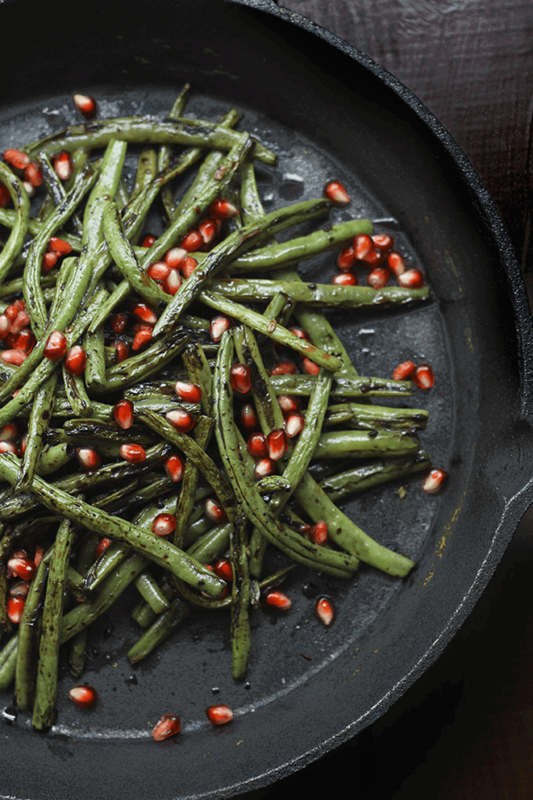 Green Beans with Garlic and Pomegranate Seeds. The photo alone displays how amazing these green beans taste, but the balsamic vinaigrette and juicy crunch of the pomegranates take it to mouth-watering territory. Homemade Dinner Rolls. Breadmaking is an art. You can’t knead it too much, or in some cases you don’t knead it enough. But, the other day I heard the dough say it can’t stand kneady people, which is why it has issues with rising. And you know what happens if it doesn’t rise properly, don’t you? You have to scrap the whole thing. 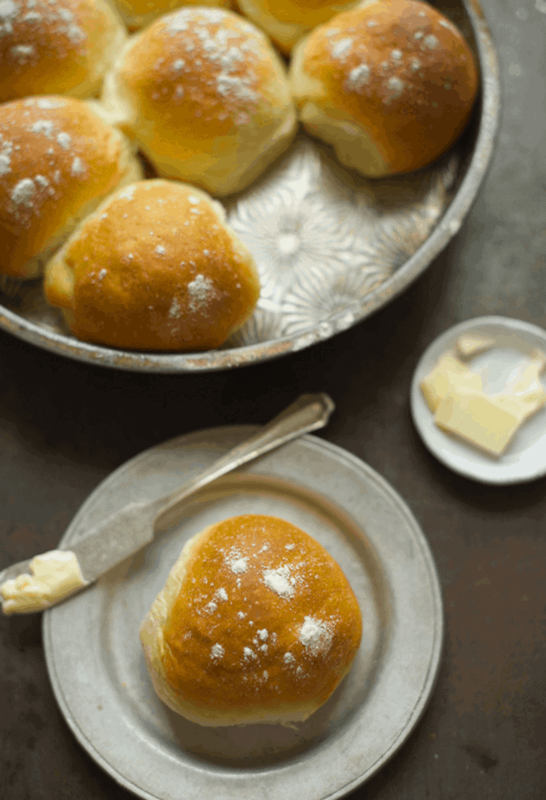 The only dinner rolls I’ve made which rise to the occasion with a light and fluffy texture (to my standards, and apparently I have high standards for bread) is this one from Our Best Bites. Nom. Apple Crisp with Buttermilk Caramel Sauce. It’s time for dessert! Remember this one? 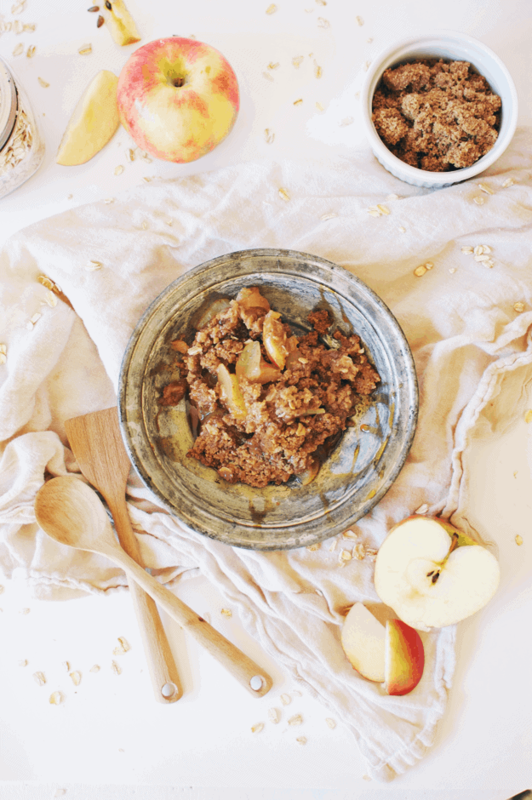 I’ve been dreaming about making it for Thanksgiving, and now I only have to wait two and a half more weeks until the warm crunch of the apple crisp hits my lips! 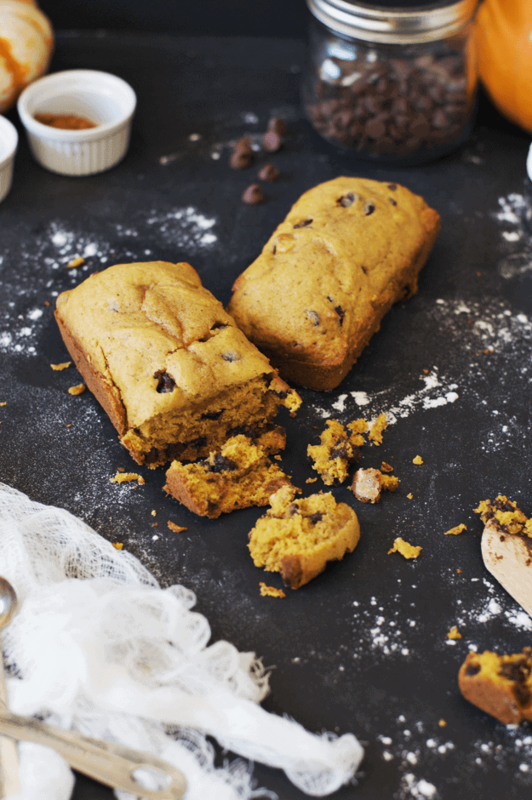 Pumpkin Chocolate Chip Harvest Bread. I am not sure where my body’s filter of exhausting food tastes went with this particular recipe. I am STILL making and eating it! I think I’m on loaf 13. Also, it is my second most-pinned recipe, and I’ve had multiple people tell me how delicious it is. Add this to your list. Seriously, just do it. Right now. Chop chop! (Chip chip!) And since I mentioned we will be having a dessert table, we will be making these rocky road cookie bars, buying a French silk chocolate pie, and whipping up this pretty pumpkin pie! I am sending you all the good Thanksgiving juju vibes! Happy meal planning, prepping, and cooking!